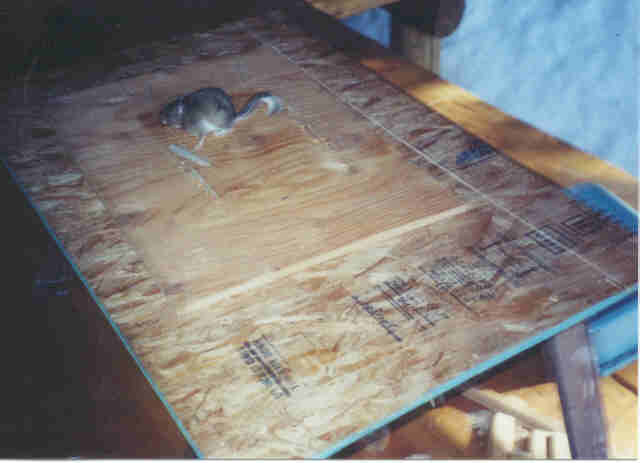 Once all the windows were installed, the next major projects for 2004 were to make the building rodent-proof and to start finishing the interior log surfaces. 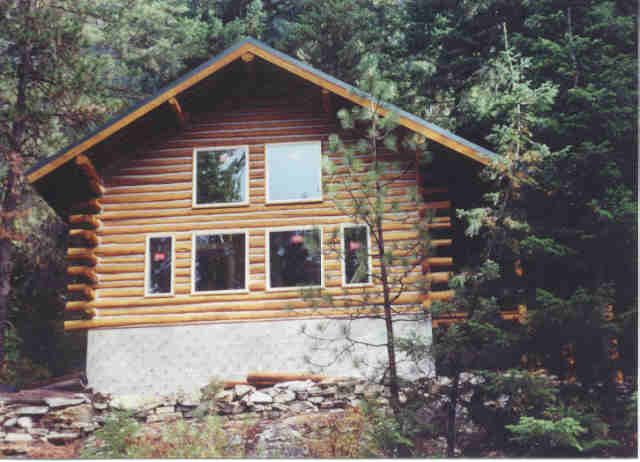 This is the front of the building after all the windows have been installed. 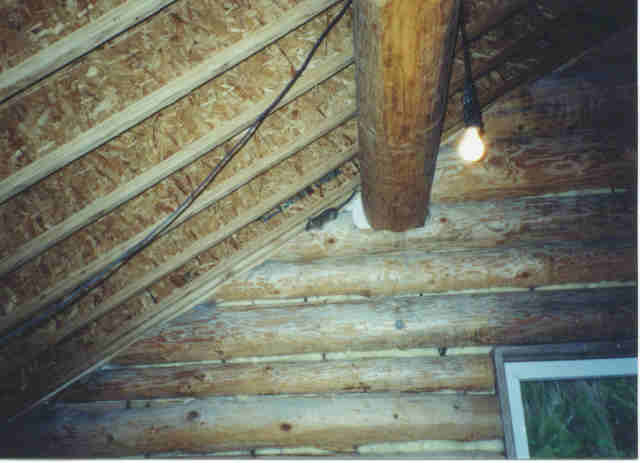 The picture was taken on 10/9/03. 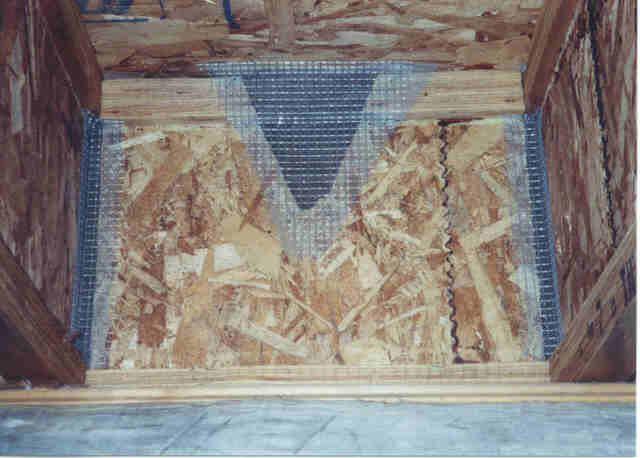 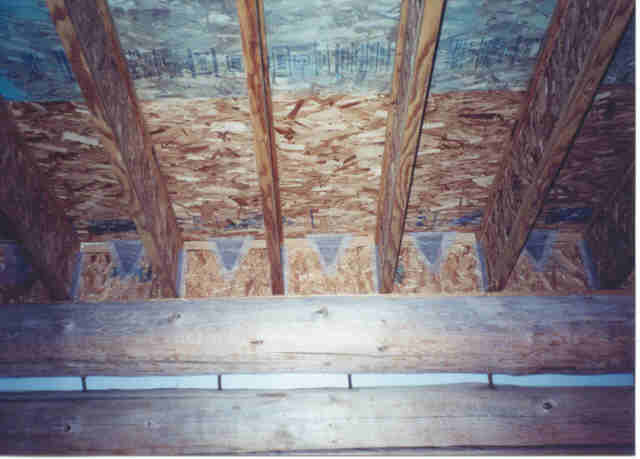 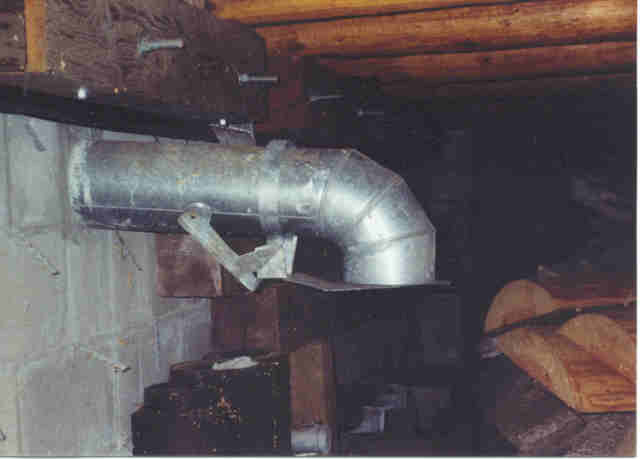 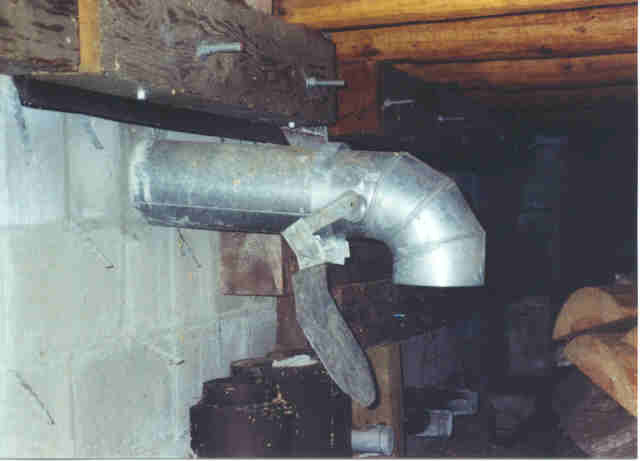 This picture shows the screening that was necessary between the rafters to keep ants and rodents out - 11/5/03. 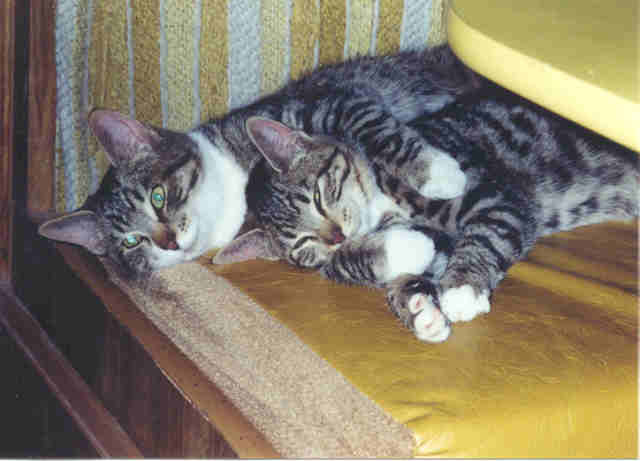 ©2004-2019 Paul R. Martin, All rights reserved.